The late Archbishop Fulton Sheen is a not only a regular fixture on the S+L broadcast schedule, but an inspiration to our team as well. Archbishop Sheen was ahead of his time when he took to the airways to teach the faith in a way that viewers of his day could connect to. It’s no wonder there is a movement to have him beatified. The diocesan phase of the cause - the phase in which officials his home diocese meet with people who knew him or were touched by his work and gather evidence to show he lived a life of heroic virtues – was closed in 2008 and the related documents were sent to the Vatican. 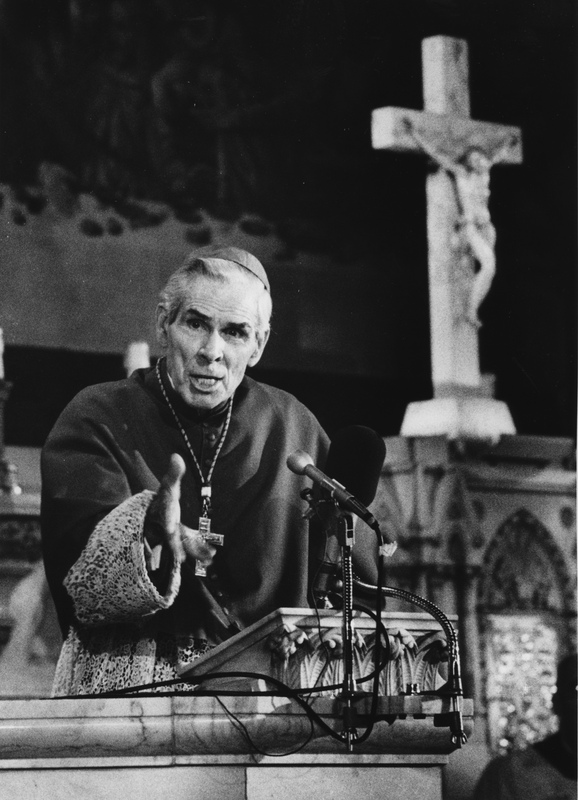 The Archbishop Fulton Sheen Foundation recently made it known that there is a possible miracle to support Archbishop Sheen’s cause. That case is being studied in Rome. The mother of the little boy believed to have been healed through Sheen’s intercession posted on her blog a message sent to her by the Fulton Sheen Foundation saying that a committee of bishops and archbishop at the Vatican’s congregation for the causes of saints will be reviewing the materials regarding Archbishop Sheen’s life May 15.